In 2016 the UK economy grew by 1.8% – (compared to 2.2%) in 2015. 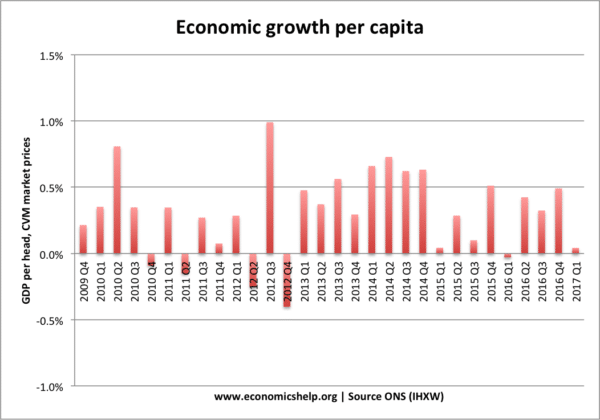 Figures for Q2 2017 show the economy is reliant on consumer spending, with industrial output and construction in decline. 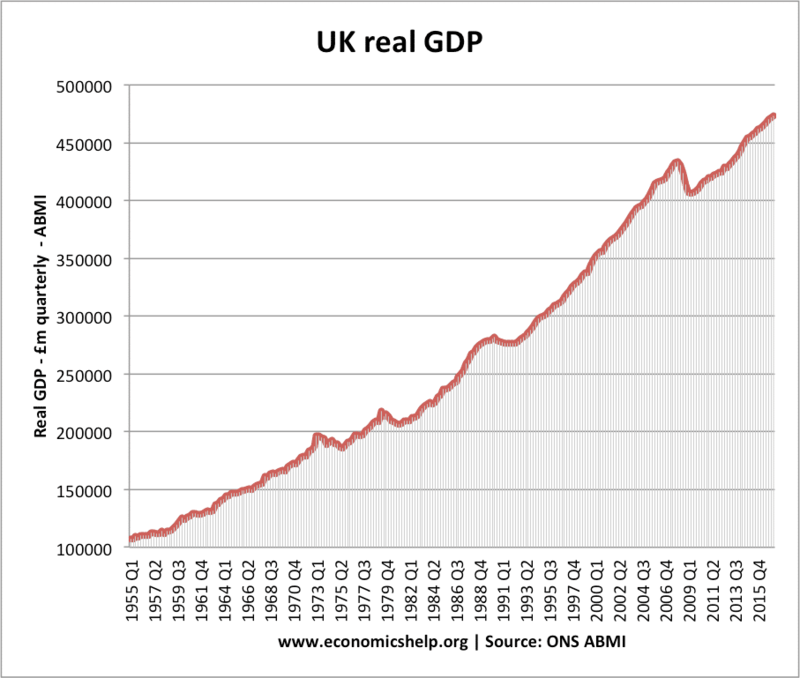 With population growth averaging around 0.6 – 0.8% a year (about 50% of population growth is caused by net migration), real GDP is boosted by this growth in population. 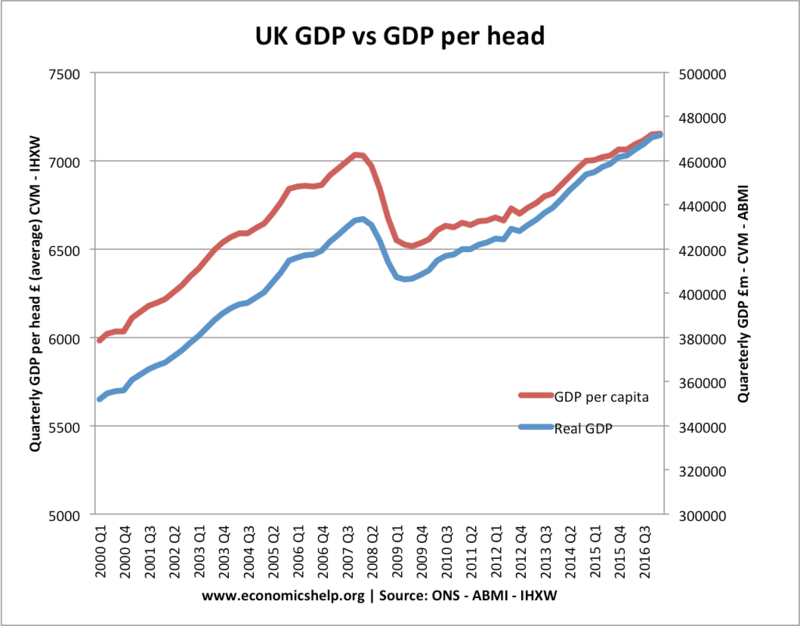 Real GDP per capita and average incomes are growing at a slower rate. 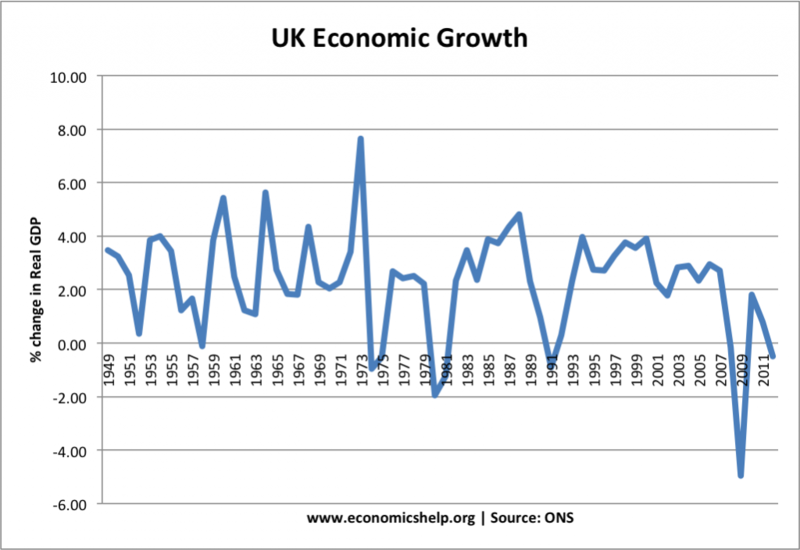 Since the recession of 1992 ended, the UK experienced a long period of economic growth – it was the longest period of economic growth on expansion. 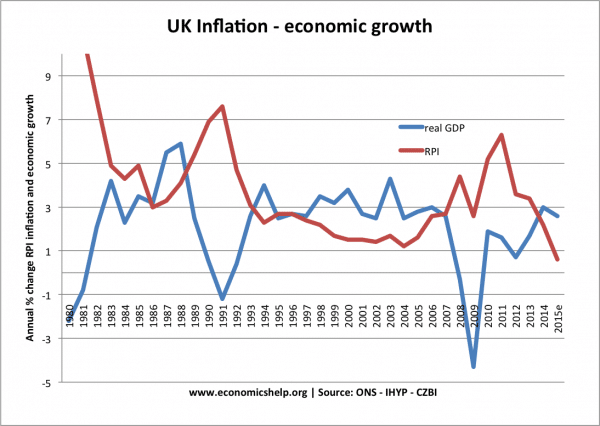 Also, the growth avoided the inflationary booms of the previous decades. 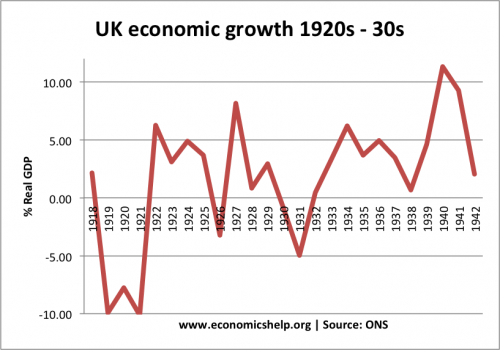 However, the credit crunch of 2007-08 hit the UK economy hard and caused a steeper drop in real GDP than even the great depression of the 1930s. 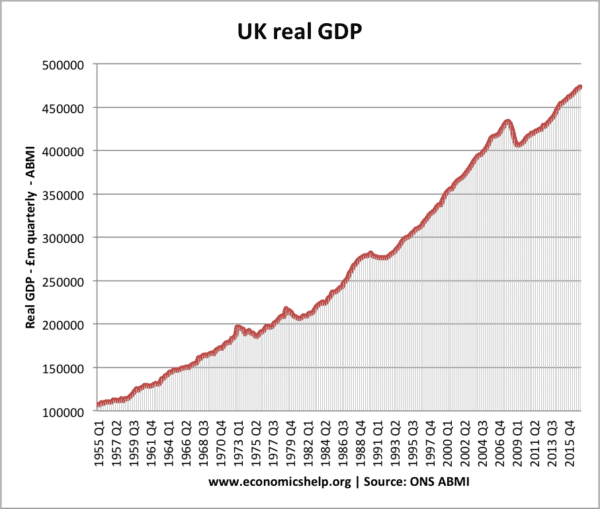 Helped by a loosening of monetary and fiscal policy, the UK experienced a partial recovery in 2010 and 2011. 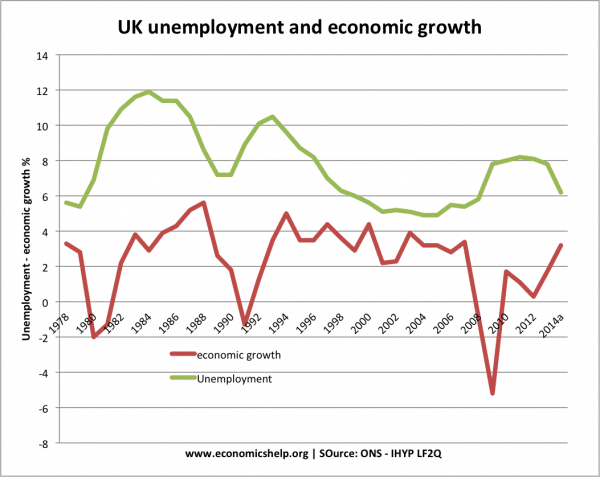 But, by Q1 2012, the UK was back in recession. 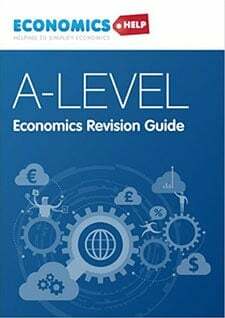 The second double dip recession was caused by a variety of factors including European recession, lower confidence caused by austerity measures, continued weakness of bank lending and falling real incomes. 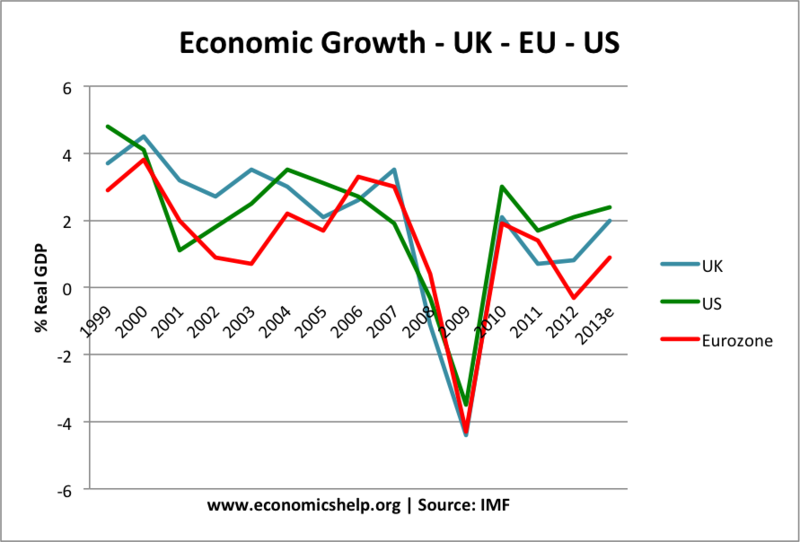 Since the start of 2013, the UK economy has experienced positive economic growth – one of the relatively best performances in Europe. 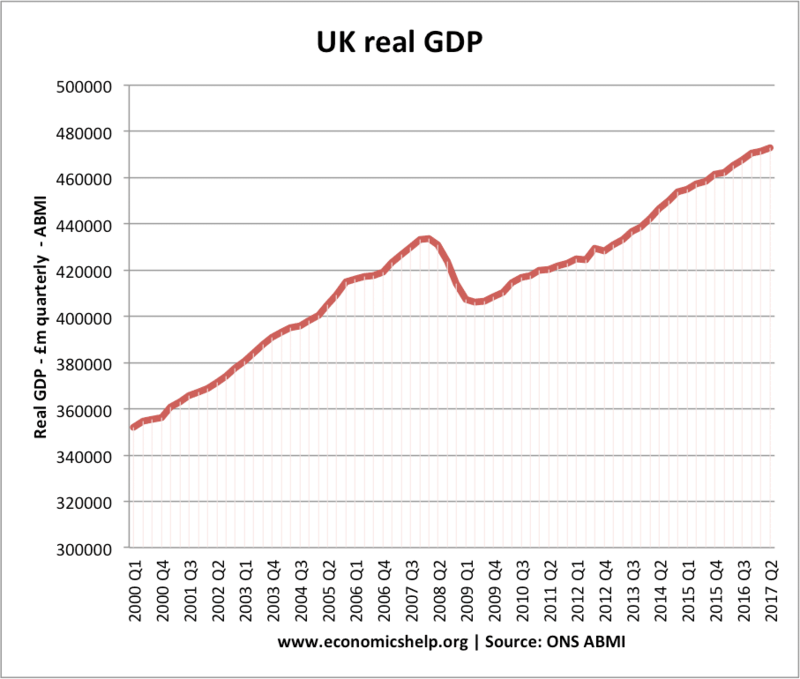 However, real GDP is still fractionally below its pre-crisis peak of 2007. 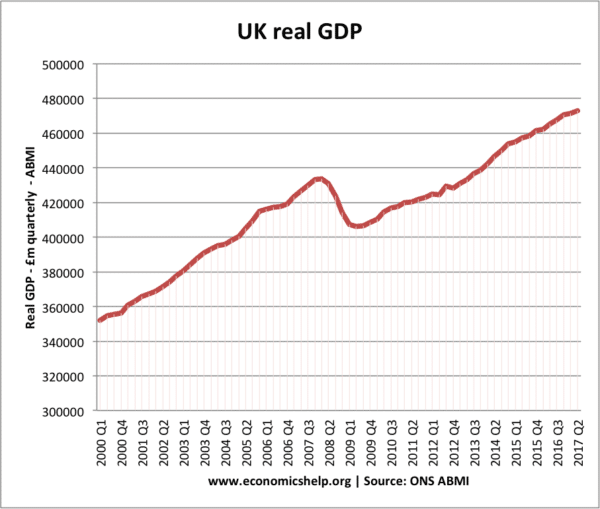 Faltering recovery? The recovery has been stronger in the service sector than manufacturing and industrial output. 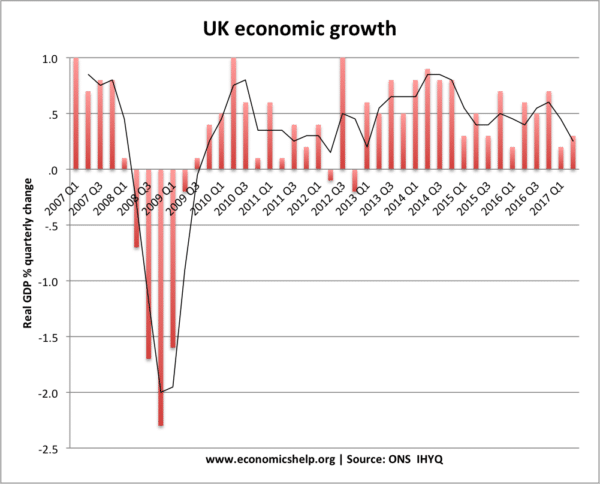 There are fears the UK recovery is still unbalanced – relying on consumer spending, service sector and ultra-loose monetary policy. Also, real wage growth has been weak, due to low wage growth, and spike in inflation due to devaluation. 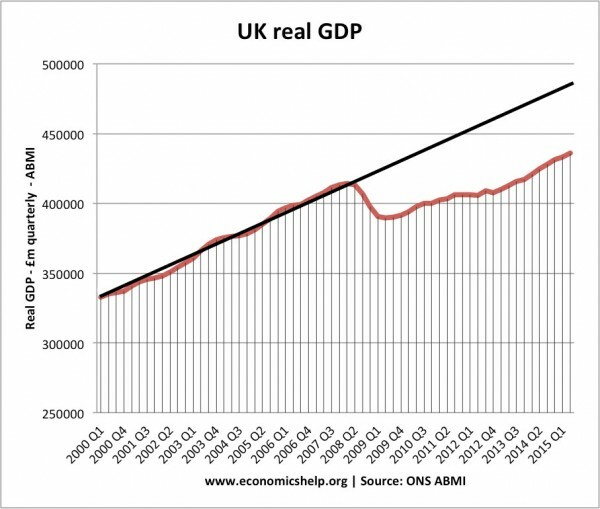 An illustration of how actual GDP has fallen behind the trend growth of GDP, since the start of 2008. Usually, the gap between actual growth and the trend rate is an indication of the output gap in an economy. But, given the length and depth of the recession, we have permanently lost some output – The ONS calculate the output gap as quite small. This shows real household disposable income per head. 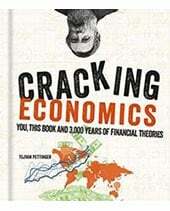 This is an important component of GDP, but GDP is also composed of other income sources, such as profit and dividends. 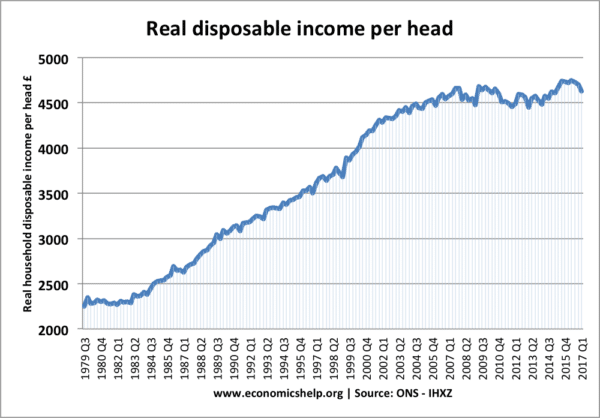 This shows that real household incomes per head have been stagnant since 2007. 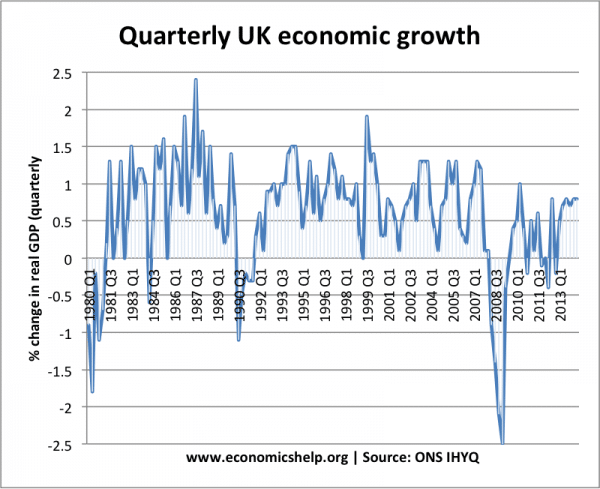 This shows quarterly growth rates to get an annualised growth rate multiply by 4. 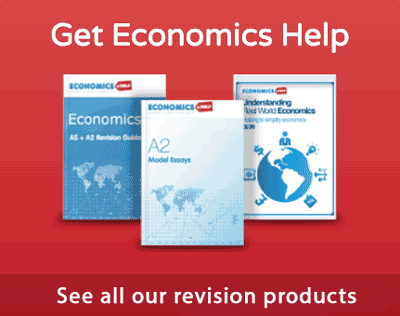 This entry was posted in A-Level, economics and tagged economic growth, stats, uk economy. Bookmark the permalink. Thanks for the very useful analysis. 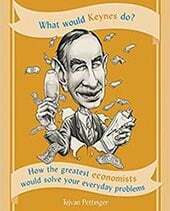 I was wondering if you have any graphs plotting UK GDP and Unemployment against other economies which have monetary independence and their own currency. 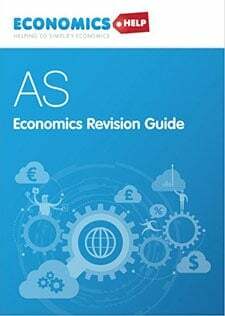 This has been really helpful when looking for relevant statistics at the ONS page – I wasn’t sure which dataset to chose and this was really useful. Thanks!